Minoru Akuzawa sensei, founder of Aunkai. Born in Gunma prefecture, Japan, Akuzawa sensei started Tai Chi when he was 16 and the art of Hsing-Yi when he was 19. After successfully representing Japan in the International Sanda Tournament in the early nineties, he happened across several individuals within the Japanese Koryu world who placed little importance on the trappings of form and shunned the limelight. Instead they focused on the core conditioning methods necessary to create an individual expression of Bujutsu, rather than adhere to a set method or form. 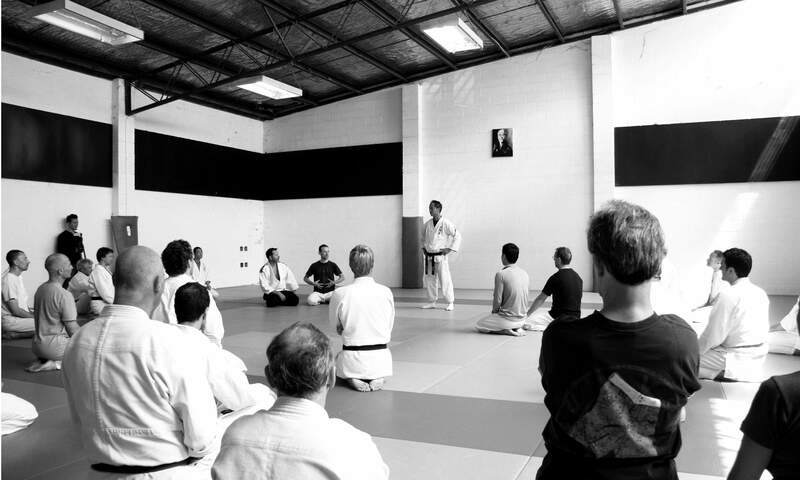 The intensive training with these individuals caused him to re-evaluate everything he had experienced, eventually shifting his focus to the basics of Bujutsu. Incorporating what he had learned from his studies of both the Chinese arts and Japanese Koryu, he has since arrived at his own interpretations of what he has experienced and is currently furthering his studies into Bujutsu.